The private sector has continued to play a significant role within all aspects of international affairs, interacting with governmental and non-governmental actors. The Masters in Global and International Studies with a concentration in Business and Negotiation will provide students with a unique opportunity to combine a business education and training in international negotiation with political and economic coursework, research, and cross-cultural proficiencies.  The Masters offers access to courses offered by the School of Finances at the University of Salamanca. It also offers access to training in accounting, international marketing, corporate finance, and business operations. Students are enabled to use the tools from the fields of International Relations and Global Studies to develop skills in International Negotiation in relation to business and finances. Through an integrated learning experience, the aim of the Masters is to produce a new breed of professionals who are fluent in the global languages of business, negotiation, politics, economics, and culture. This fluency and the associated analytical capacity should allow graduates to pursue careers in the private and public sectors, non-profits, and academia, and allow them to freely move between those sectors as their careers evolve. They will learn to think critically and plan negotiations strategies that best suit different kinds of international issues and problems in relation to business and global trade, are able to understand corporate ethics and social responsibility and how political and economic environments have made these strategic concerns of the global firm. The curricula offers a mix of practicums and theoretical courses. It prepares its graduates to work successfully in any modern organization, whether geared to business or public/social service. Unlike the traditional Master’s in Business Administration, the PIMN does not attempt to address all conceivable aspects of the typical for-profit enterprise. It includes an emphasis in the administration of not-for-profit organizations, and focuses on the core disciplines of every modern organization plus the single most important skill demanded by senior managers in all modern organizations: negotiation, These aspects are taught by comparatively few traditional MBA programs. Core disciplines that every manager must master are: Finance, Marketing and Advertising, Human Resources, and Negotiation. The first two of these are invariably major components in the curriculum of every school of business in the world. The third, Human Resources, is likely to comprise a comparatively minor portion of the typical business school’s curriculum, but is given more attention in the PIMN in light of the growing recognition of the importance of hiring, training and retaining high-performing members of today’s highly mobile workforce. The fourth discipline, Negotiation, is given some attention at the best business schools of the world, but is largely ignored by most business schools. This Masters trains students on international negotiation with a focus in business. The PIMN focuses on management within organizations and negotiation among organizations, especially international business organizations. Although the student will be trained on the basis of business administration, the main focus of the MA is not on regular business administration. All organizations must operate within the context of relative scarcity. Obtaining and managing the financial resources required to operate in this context is a critical component of managing any organization effectively. For those students who choose to emphasize Finance in their work towards the MA in International Management and Negotiation, the international finance practicum will provide the opportunity to gain hands-on experience in evaluating common stocks as investments or the analysis of proposed projects or expansions and the preparation of financing packages for those or the identification of future funding sources for not-for-profit organizations. With its focus on Human Resources the PIMN evidences its first significant departure from the traditional MBA program and in so doing provides a clear emphasis on management as opposed to mere business administration. The PIMN demonstrates that it has genuinely listened to the claims made by business and non-profit leaderships when they assert that the principal asset of their organizations is the personnel who work for them. While all MBA program administrators concede that such a claim is valid, the PIMN is one of the few programs in management that places this assertion at its core of objectives. Hiring, training, retaining and rewarding the best people is a critical function of every successful organization, but relatively few traditional MBA programs focus on providing their students with the competencies to ensure that these functions are consistently performed well. This Masters prepares students to accomplish all this in a global context. Courses in Human Resources Management and the related field of Organizational Behavior will be designed to do just that. With its focus on preparing students to negotiate effectively in an increasingly larger global system where negotiators need to accomplish their goals by being able to take into account cultural, religious, and educational differences that shape different business contexts, the PIMN marks its most significant distinction from traditional MBA programs. Within and between modern organizations negotiation is a constant. In light of these findings it is amazing that comparatively few traditional MBA programs have any kind of systematic approach for instilling critical thinking skills in their graduates. One needs to move from a theory-based curriculum to a practice-based curriculum.In a negotiation the nature of the issue at hand must be quickly determined, strengths and weaknesses of a “position” (one’s own as well as that of another) regarding that issue must be quickly identified, the validity of competing claims must be quickly determined and the results of this rapid analytical process must be clearly and persuasively expressed. This differentiates successful from unsuccessful international negotiation. The Program in Business Management and Negotiation is one of the few Master’s Programs to incorporate this kind of learning and skill as a core objective. The PIMN has structured its entire curriculum around the idea that business is necessarily cross-border business. As an example of this international orientation, all PIMN students are required to complete at least one course in a social science discipline to gain an appreciation of the differences in doing business in a variety of different cultures. This program is explicitly designed to train future managers/negotiators for a range of organizations, whether those organizations are multi-national firms, the military, government or not-for-profit international organizations. Training only “for-profit” managers runs the serious risk that the “for-profit” aspects are so over-emphasized that non-profitability considerations will be drowned out. This can be detrimental not only for the potential not-for-profit student, but also for those aiming at careers in for-profit organizations as well, since profit, though obviously important, should never be a manager’s sole consideration. Additionally, those students aiming at careers with not-for-profit organizations may quickly come to feel like “second rate” participants in traditional MBA programs. The PIMN is designed to give students a supervised practical application of a previously or concurrently studied body of knowledge. The experience can offer a real-life assignment (see our Global Internship Program) in the chosen area of work and may be appropriately included on the student’s resume as an actual work experience before he or she graduates from the program. For students that choose to take our Global Internship Program, representatives of firms and/or internship places will be part of the process. Student members of the team will not only gain valuable practical experience in their area of concentration, but will also make potentially valuable contacts with members of management and officials in the firms/institutions being serviced. Obviously, the better the work product of the team, the better the employment possibilities of the team members.